The NewWave mug is an elegant shape from the family owned company, Villeroy & Boch. This large mug is unique, and is sure to leave a lasting impact on anyone who receives it. 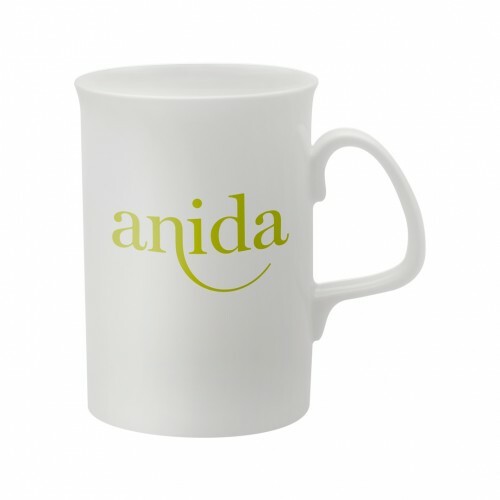 Print can be applied over the handle of the mug for an even greater impact. The Stirling mug comes with a saucer, and print can be hand-applied via a transfer to the mug and the saucer. This small mug is perfect for cafes, and has a large print area. 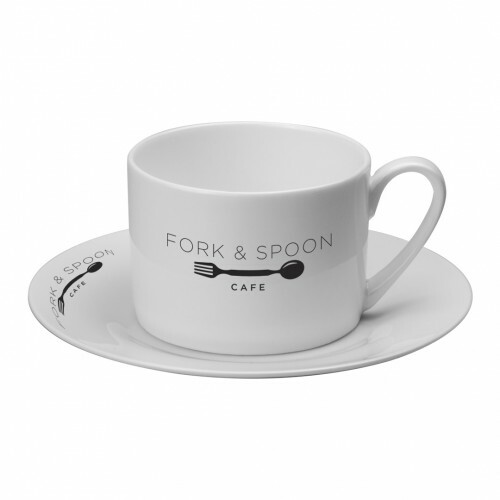 The referenced print area is for the mug, the print area on the saucer will vary based on artwork. 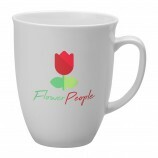 Named for its shape, the Tulip is a large bone china mug with a curved rim and sleek handle. This mug is durable and elegant, making it a perfect mug for any occasion. The Topaz is a sturdy bone china mug with a flared rim and a unique pointed handle. 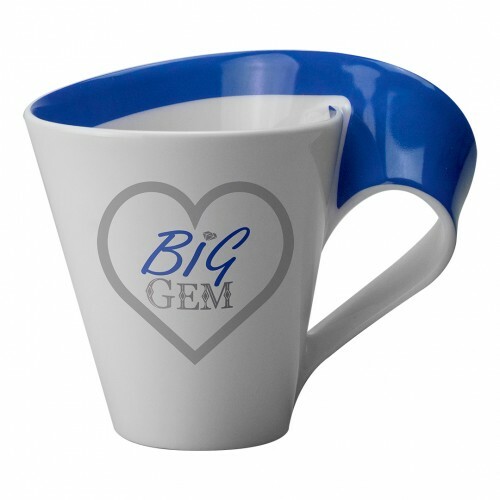 As the mug is straight-sided, there is a large area for print around the mug, and inside print can be added to the inside rim for a greater impact. 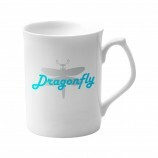 Manufactured from bone china, the Opal mug is lightweight and durable. The mug is tall and thin, with a large print area and broad appeal. Extra prints can be added to this product to make it even more bespoke.